NationalLink is an industry leader providing complete ATM solutions. Over the past 20 years NationalLink has grown to be one of the largest ATM networks by providing the right tools, experience, and relationships to help you offer state of the art services to your customers and maximize your profits. We provide unrivaled efficiency and reliability and our continued success can only be attributed to our high level of professionalism and dedication to customer satisfaction. NationalLink was started in 1992 as an engineering firm assisting with the design and development of credit card and electronic fund transfer terminals. With the continuous improvements and the need for new payment technologies, the company in late 1993 started providing payment processing solutions including sales and processing of credit card terminals. In 1996, with Cirrus and Plus allowing surcharging on ATM machines, the company entered the sales, service and processing of ATMs. 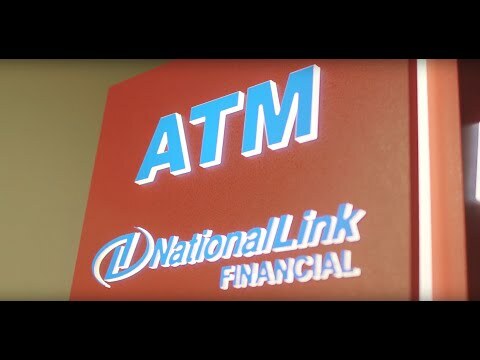 Since early 1996, NationalLink has been a nationwide company that provides complete turn-key ATM systems including sales, processing, service, and cash management. NationalLink is a master distributor of Triton Systems Inc., Hantle USA Inc., Genmega and Nautilus Hyosung USA. NationalLink is an ATM Service company first and we are also a certified repair center for all the leading ATM manufacturer’s and have certified and trained service technicians throughout the country. NationalLink specializes in processing transactions with all the top processors and manages thousands of ATMs nationwide. With our affiliate program, we deliver the best ATM business solutions for our Independent ATM Deployers (IADs) and Independent Sales Agents (ISAs). With a multitude of products and services, our goal is to make our affiliates, and their businesses, more efficient and profitable. Maximize productivity - Eliminate time spent preparing deposits and reconciling funds. Improve bottom line - Eliminate accounting errors and risk of internal theft. Increase safety and security - No more deposit trips to the bank reduces risk of theft. Full cash visibility - Direct Vault online portal allows for 24/7 management and tracking of all safe activity. Faster Access to Credit – available provisional credit through secure wireless communication between the smart safe and the retailer's bank. Doing business has never been easier with NationalLink’s seasoned cash management and forecasting team. Our Cash Management program always keeps your ATM fleet filled with the right level of cash. We use our insured cash so you don’t have to use yours. The program is designed to satisfy the requirements of today’s demanding market, year round. As ATM owners know, money costs money, thus keeping the right amount of cash in an ATM is critical to the success of any deployment. Loading cash in your ATM machines. Arranging cash sources from our partner funding banks. Ordering cash using real-time projections based on actual ATM activity. Contracting with Armored Companies to vault cash in ATMs. Scheduling and coordinating all cash loads with both the funding bank and the armored carrier. Monitoring ATM activity in real time and calculate average daily outstanding balances. To further bolster our level of ATM support throughout the years, NationalLink has an in-house repair facility for our customers nationwide, and IAD portal to add more value to the industry. Visit www.atmtrader.com to see more! 9/12/2018 - How can an ATM help my business attract new customers? 9/7/2018 - ATMs and Millennials: Why Do Millennials Prefer Cash?